This is a typical Log Cabin and it is a full building. Kit contains 8 highly detailed resin parts. Comes packed in a handy cardboard box. Finished kit measures 8x5,5x7cm (WxDxH). Master and painting by master modeler Roy Schurgers. 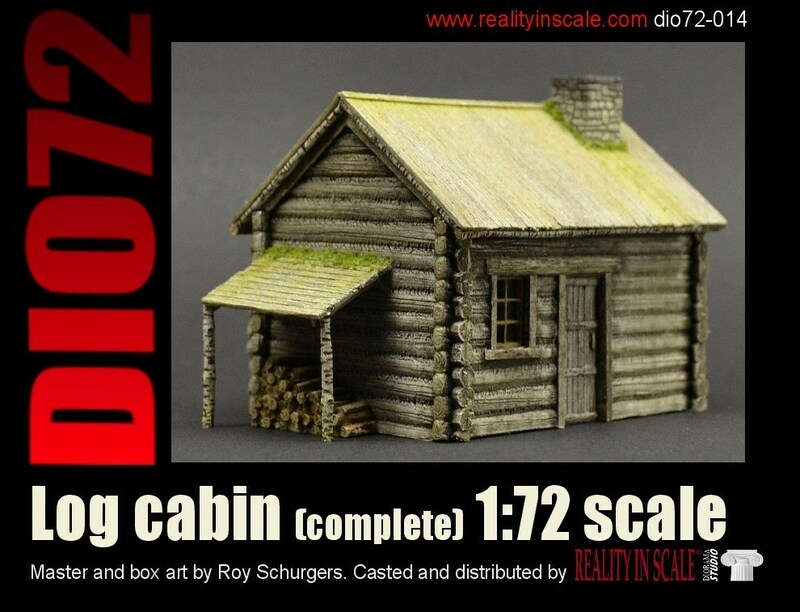 These buildings are perfect for making a small vignette or diorama. with some figures, accessories and may be a vehicle.